The other day I took some photos of the World War I memorial situated outside of the Missoula County Courthouse in Missoula, Montana. Once I saw the statue, I started snapping photos like crazy because I thought one or two of them would figure into a comparative presentation some day on the public remembrance of World War I in American History. I have also snapped photos of the WWI statue outside the Richland County Courthouse in Wahpeton, North Dakota. This got me re-visiting one of the infinite ideas of history. If one wanted to, one could organize the historical record in two ways: the events that actually happened, and the long historical and never-ending process of how and why those events are remembered. 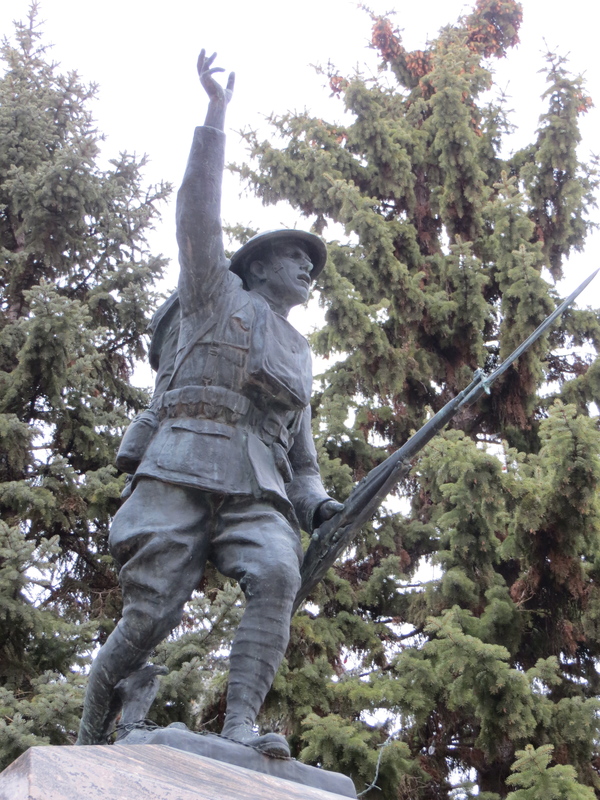 I haven’t much to say beyond that point, so I’ll just upload some photos of the two related WWI statues from Missoula, Montana and Wahpeton, North Dakota. 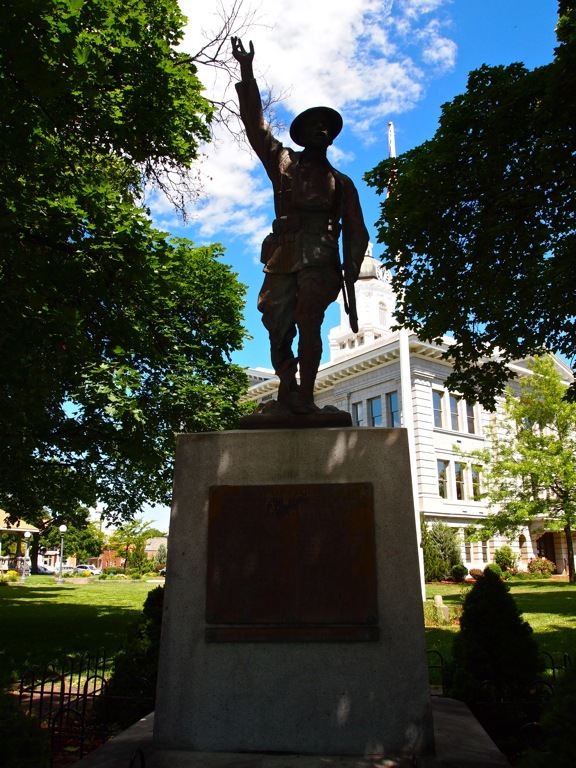 The WWI statue outside of the Missoula County Courthouse. Photo from 07/13/2013. The WWI monument outside of the Richland County Courthouse in Wahpeton, North Dakota. Photo from November 2012. This entry was posted on Monday, July 15th, 2013 at 12:48 am	and tagged with Memory, Missoula, Montana, North Dakota, Public History, Wahpeton, World War I and posted in Uncategorized. You can follow any responses to this entry through the RSS 2.0 feed.